Preparing your garden for winter can be done rather quickly but can save you a ton of work in the spring. 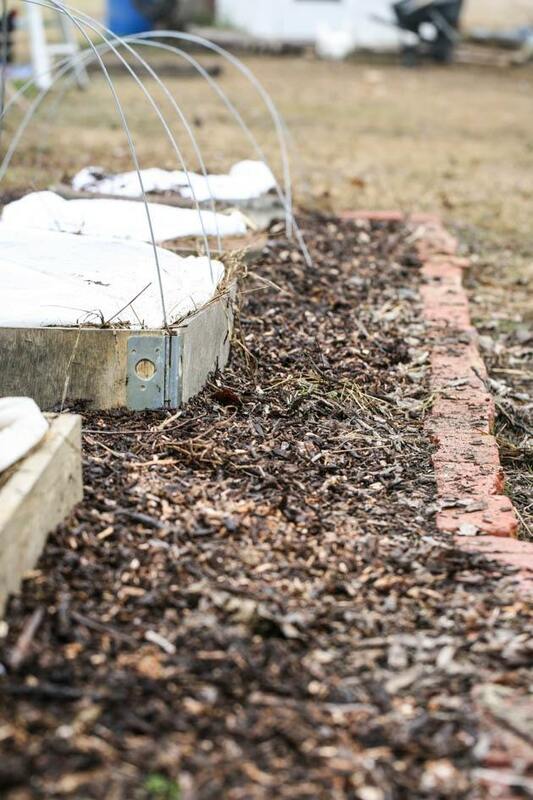 There are a few different ways to prepare your garden for winter but as always, I choose to keep it very simple and cheap — just using what I have around the homestead. 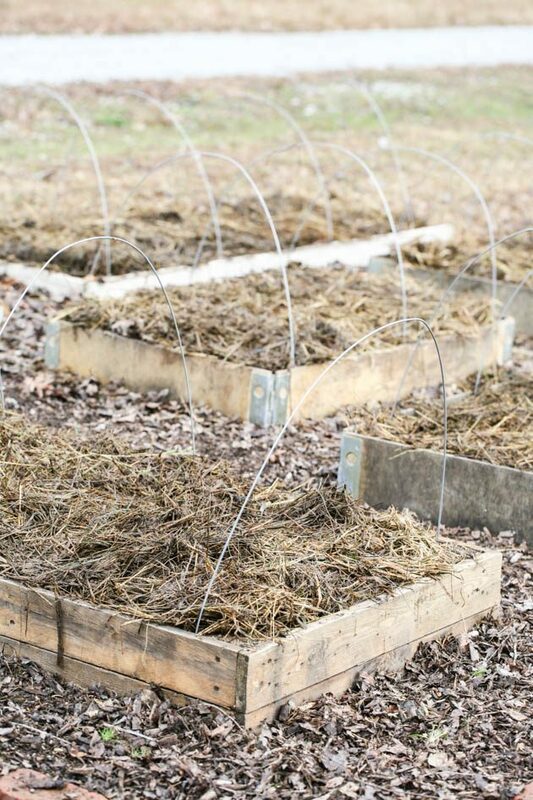 I’ve been doing this process for a few years and not only is it super simple, but it also results in great soil, rich in organic matter and clean and ready for spring planting. It can work. 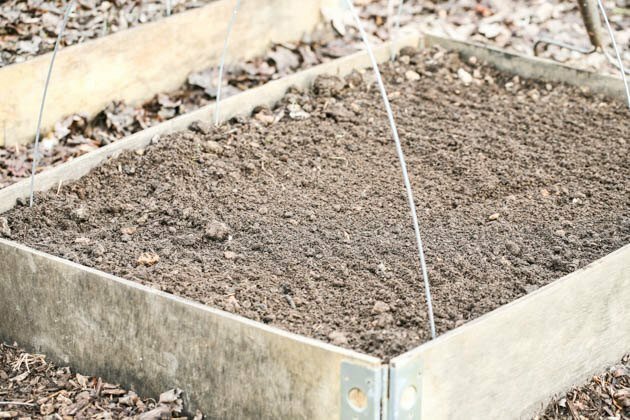 There are great tricks out there to help you extend your growing season and maybe even grow vegetables year round. But after a couple of years of growing as much as I could, I realized that the break from the garden that we get during the winter was necessary for a better growing season the next year. For the gardener and the garden. Here in the South (zone 7b) we have a long growing season. I guess that if you live in an area with a short growing season you might want to find a way to extend the season a bit, I would, too. But here, we can start planting around Valentine’s day and keep growing until Thanksgiving. Add to that the fact that many of us start seeds indoors at the end of January, and the result is that really, we only have a couple of months break from the garden. Now, I wouldn’t want it any other way! I can’t imagine waiting until May for planting but I’ve decided that it would be a good idea to take this time and spend it away from the garden so I can come back eager and refreshed in the spring. Another reason that I think it’s a good idea for a winter break is that it gives the soil time to rest too. 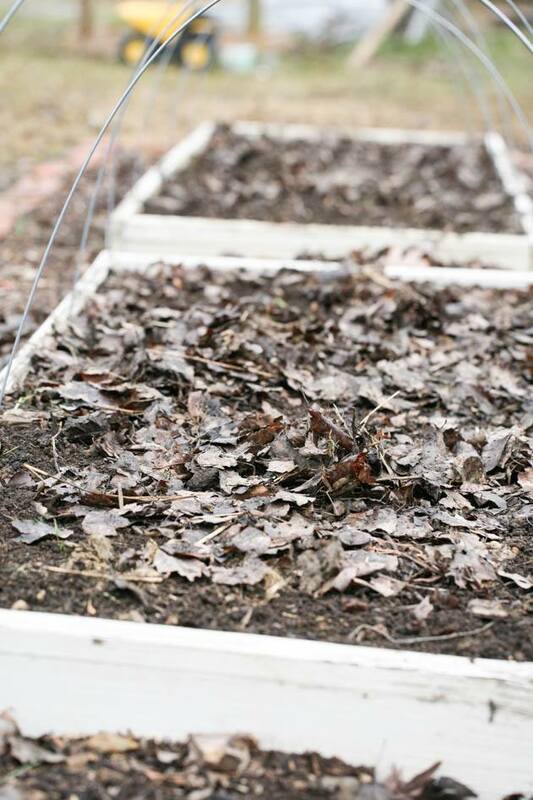 You’ll see below that the way I prepare my garden for winter is also very beneficial to the soil itself and, of course, that at the end this results in better crops and larger harvest. I used to just let it go. I was tired after the long growing season and I didn’t want to do one more thing. I figured I’d just prepare the garden for planting in the spring right before I plant. But over the years I noticed that if I take the time to prepare my garden for winter right (and it doesn’t take long at all) spring is so much easier. I’ve noticed that the soil warms up much faster in the spring. I’ve noticed that I don’t need to till my soil to break it up. It’s already nice and soft. I’ve noticed that my soil is richer because the mulch had more time to decompose. I’ve noticed that my garden is full of beautiful worms in the spring. Apparently, it was nice and cozy for them in the garden all winter so they made it their home. And I’ve noticed the difference in “spring overwhelm” when I have one less thing to do. Aside from the way I do it here, the other way that I know of to prepare your garden for winter is planting cover crops or green manure crops. 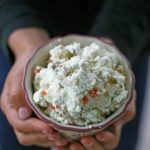 I’ve learned a lot about cover crops and green manure crops over the years (I share it with you in my post: Learn How Cover Crops and Green Manure Crops Will Change Your Garden) but I’ve never tried planting them in my raised bed garden. 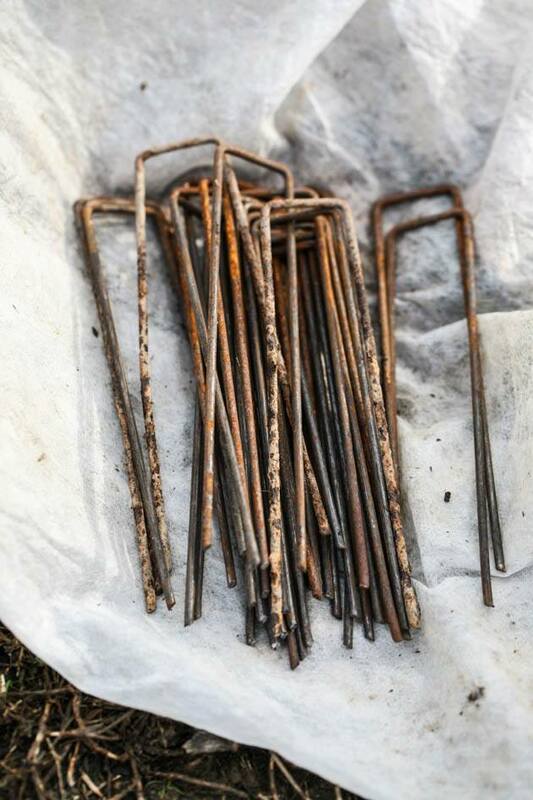 I’ve always left the use of them for the field. For my raised bed garden I use what the animals give me and what nature gives me. It’s so good and costs me nothing. Harvest – I start by cleaning the beds from all the last vegetables. I do this right after Thanksgiving. Usually, I have a few lettuces and carrots and kale left. 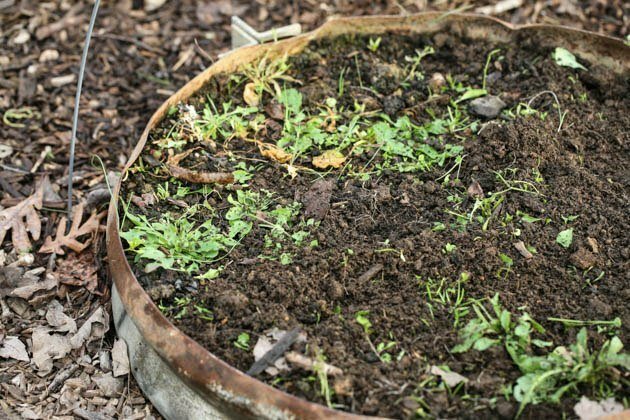 Weed – once I have all the vegetables pulled, I clean the garden beds of any weeds. Rake – next step is to rake the beds. If there are any large clumps of soil I break them apart or bury them (they will break apart later). Pile up – this is the most important step! pile up whatever soft mulch (not wood chips) nature gives you. Do you have old straw sitting around somewhere? Animal bedding? Old hay? Dry leaves? 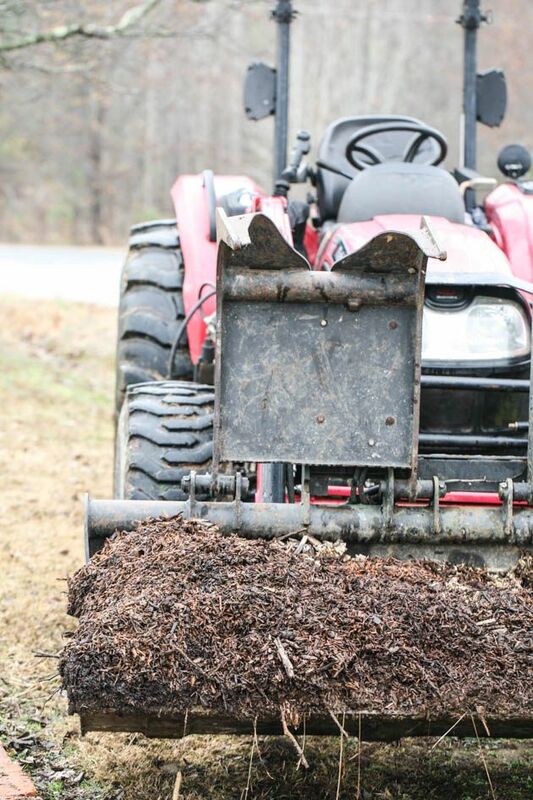 Whatever you have, pile it up. Most of us (unless you live in the desert…) have dry leaves. They are gold for the garden! 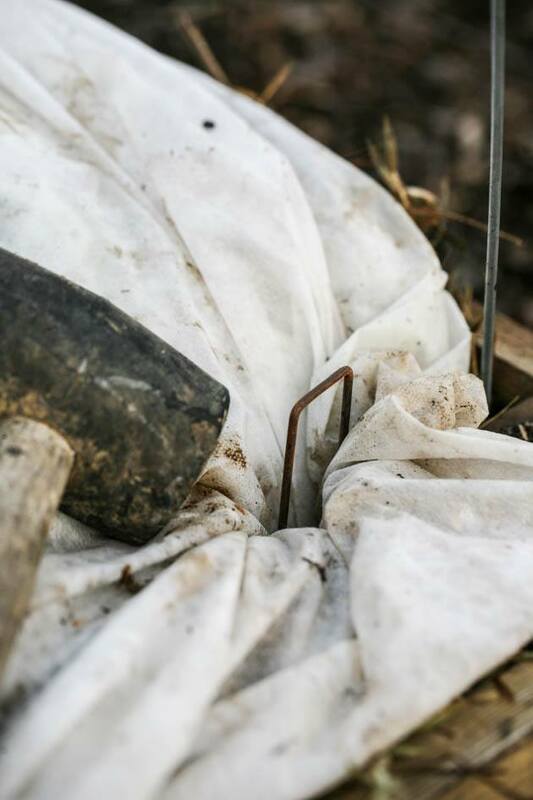 I share with you how important they are in my post Everything You Ever Wanted to Know About Leaf Mold, Mulch, and Compost. They will literally change the way you garden and improve your soil immensely. If you have a leaf shredder you can collect dry leaves, shred them and pile them up on your garden beds but you don’t have to shred them. I simply pile them up on the beds, the more the better. It’s a really great job to give the kids! They enjoy raking and jumping in a huge pile of leaves and it’s a simple enough job for any child, even a very young one, to throw leaves on an empty vegetable bed. Aside from the leaves, my goat houses and yards needed a clean. I have to admit that I still don’t have enough hay feeders. I have one that my neighbor built for me and it’s working great but I need two more and I just didn’t get to building them yet so I throw the hay on the ground for some of the goats. It’s an awful waste! The goats eat maybe half of it and step, poo, and pee on the rest. I’ll get to building a couple more hay feeders, I promise, but meanwhile, all this hay that is left behind can be used in the garden. It’s wet, it’s full of goat poop and pee… I know it doesn’t sound very appealing for a human but you ask any vegetable and it’ll tell you how much it loves it! So I piled up about four inches or so of this old hay on the soil in the garden beds. Of course, you can do the same if you have cows and horses or sheep for example. You can do this with old bedding or leftover old hay, it’s all great garden food. 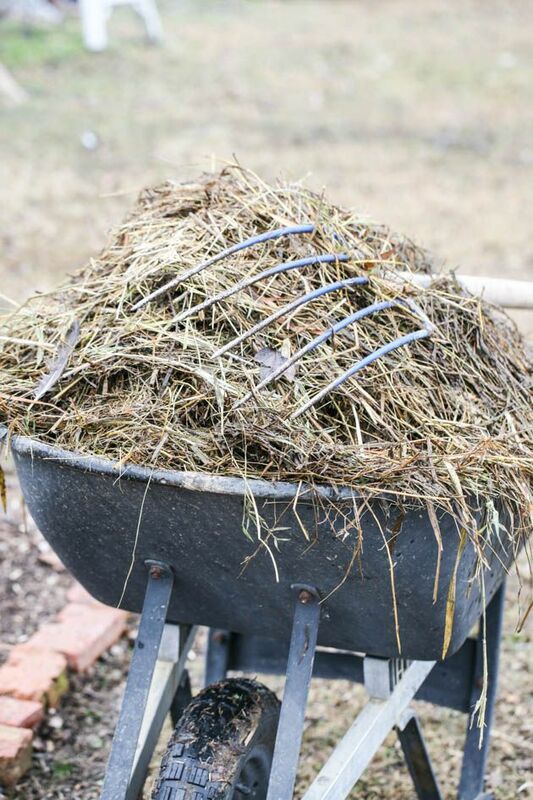 Compost – after you mulch with soft mulch like hay or leaves then it’s time to throw on a layer of three inches or so of compost. I usually use cow’s manure from my neighbor. He raises cows and every few months I come by with the tractor and scoop some manure from their feeding area. It helps him by keeping the area clean and it helps me because I have free compost! So usually what I do is pile the compost on and I plant right in the compost in the spring. I don’t till the garden or anything like that. I simply plant the seeds right in the compost. This season I didn’t pile the compost on because I am working on a new, larger garden in front of the house and I want to make sure that I have enough compost to cover it before I use some for this small raised garden. So I skipped this step this fall and I’ll leave it for spring. By then, the other garden will hopefully be done and if I don’t have enough compost from what I picked up this fall I’ll just pick up more in the spring. Thankfully, cows poop a lot, all the time! If you don’t have a neighbor who owns poop machines, you can buy compost. I love cows manure and it’s pretty cheap. Even if I had to buy it, it probably won’t be more than $50 or so for this small garden and it’s definitely worth the investment. Cover the garden – I love covering my garden. First, I have a few chickens that are still free ranging and they make a huge mess of everything. Remember before when I mentioned that worms really love this setup? Well, the lovely chickens go after the lovely worms. They’ll scratch and dig and not only mess up your beautiful work but will also steal the worms! They are just disrespectful creatures. It’s the mess I have a problem with. If she just cleaned after herself and put everything back the way she found it we’d be golden…but she doesn’t. Another great reason to cover the garden is that it helps keep temperatures higher and therefore helps the mulch decompose faster. And it also helps to keep the soil warm so you can plant a little earlier in the spring. 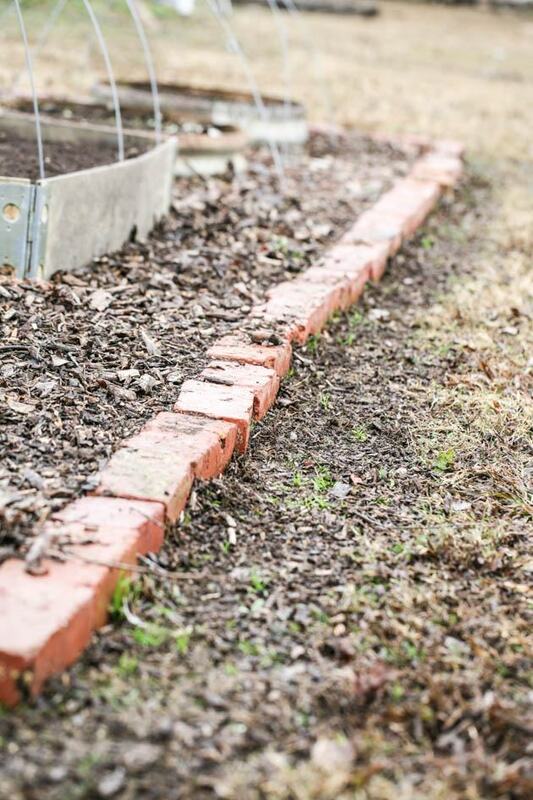 If you live in a cold climate with a short growing season it might be beneficial for you to cover the garden with black plastic, it will help even more when it comes to warming the soil quickly in the spring. 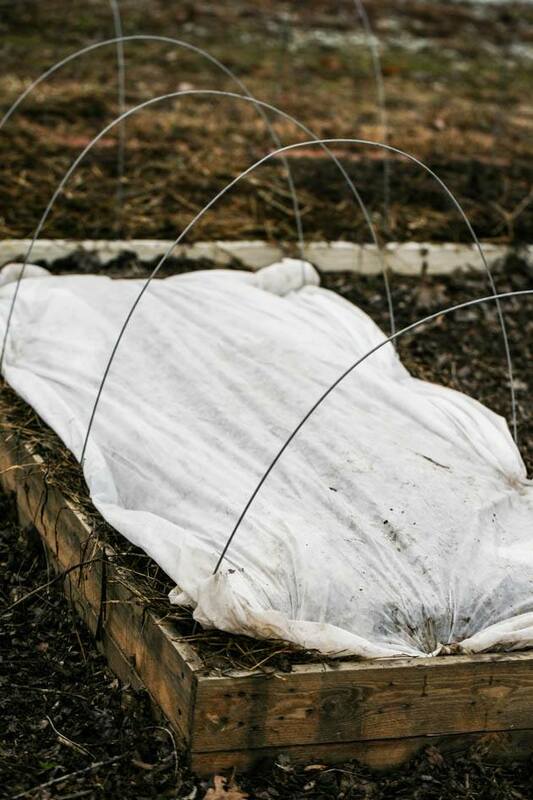 I use this white row cover (in other words agri-fabric) that I bought at Johnny’s Selected Seeds (I got the 83” x 250′). I love this cover! 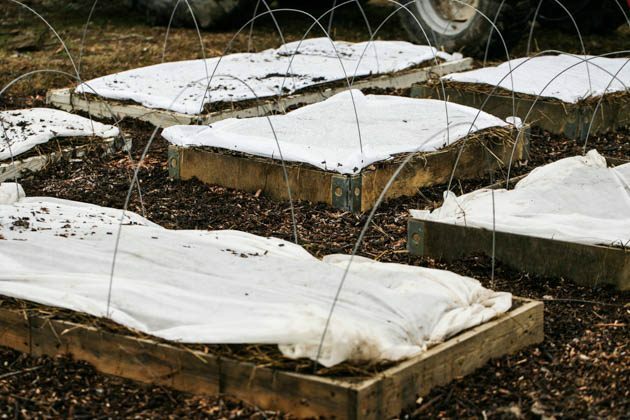 I use it to cover the beds in early spring to give the seedlings some warmth, to cover the beds at the end of the season to help what’s already growing there stay in good shape even if we have cold nights, I use it sometimes the whole season as a bed cover to keep animals (like… you guessed it, chickens!) from eating the plants, and so on. It’s useful to have a roll of this stuff in the shed. To hold the fabric down. You can use them if you use black plastic as well, I just recommend folding the fabric or plastic a few times before you stick the staple in it to prevent it from tearing easily. Mulch in between the beds – once the beds were done I moved on to the mulch in between them. I have another amazing neighbor who cuts trees for a living. He dumps his wood chips at the farm (my 20 acres which are across the road from the house I live in). So I grab the tractor and head to the farm to scoop up some wood chips to add to the wood chips that are already around the garden beds (this small garden is right by the house). I simply use a shovel and spread the mulch all around. Weeds won’t grow around the beds during the winter but I wanted to get it done so I have one less thing to do in the spring. I made sure to rake around the bricks that separate the garden from the lawn (I spray around those bricks to keep the grass from crawling into the garden. I try to use 30% vinegar, which you can also find on my Shop page, if I can afford it). And that’s it! As long as creatures don’t mess it up I am set for spring. I’ll still have to add compost since I didn’t do it this time but other than that all I have to do is plant. In the past couple of years, I had a small garden by the house and a huge one at the farm. For 2019, I decided to keep things a bit more simple since I am by myself now (I’ve separated from my husband in June). So I’ll be working on a medium size garden right in my front yard. It’s outside the door, close to the kitchen and I don’t have to haul the kids to the farm every time I need to work. They love being at the farm but there is no shelter there for them and when the summer heat rolls around it’s just too hard for all of us to be there for hours in the field. I’ll still grow something there next year. I have a plan forming but I am not set on it yet. Hopefully, I’ll be able to share more about it soon. Meanwhile, I am happy that I am done with this small garden. I’ll be working on the new garden in the next few weeks. I hope this helped and maybe gave you a couple of ideas!